Play one of the most exotic musical instruments in the world! iQuijada is the digital incarnation of the Quijada de Burro. Yes, it is a percussion instrument made from the jaw of a donkey. Touching the teeth area produces a scraping sound. Hitting the lower jaw area produces a rattling sound. Turn up the volume on your device and show off your musical skills to your friends and neighbors! Watch their jaws drop when you explain to them what on Earth it is that you're playing. Best of all, play away with confidence in the knowledge that no donkeys were harmed in the making of this app (we're told the donkey died of natural causes) and that you're not actually holding part of an animal's carcass in your hands. No, you're holding your shiny, beautiful device and making music! 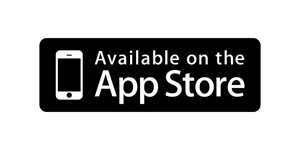 In all seriousness, we love traditional musical instruments and hope you will help us promote them around the world by downloading this app. Enjoy! Play the authentic sounds of the cajon wherever you go. The cajon is a beautifully simple percussion instrument made out of wood and shaped like a box. Touch the screen with your fingers. The center area produces a bass drum sound. The border area around the screen produces a sharp snare sound. Nice animations will play whenever you touch the screen. Please remember to turn up the volume on your device. You may choose to plug it in to external speakers for amplification and to jam with your friends! Help keep traditional musical instruments alive by downloading this app. Have fun! Help our little hero vanquish the oncoming enemy diapers by tapping on the screen to shoot his lethal projectiles! We lovingly dedicate this game to our son who was born earlier this year. He inspires us every day and we thank him for that. We hope you enjoy the game!